The quiet streets of Cockburn Town are perfect for Segways. Segways are of course fun to drive and Cockburn Town is an interesting place to explore, so most will enjoy this tour. However, if you rent your own car or golf cart for the day and explore on your own, you’ll ultimately pay less (for two or more people), be able to see everything on the island, and can spend as much time as you want at the sights and beaches that interest you. 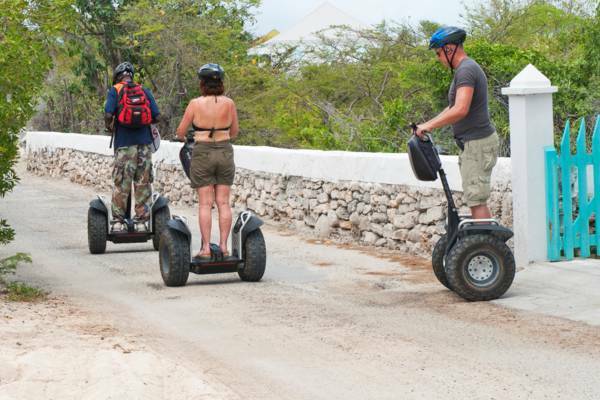 Explore the small streets and salt salinas of Cockburn Town on Grand Turk on a guided Segway tour. Segways are a fun and unique way to get around, and if you haven't tried one it can be an interesting experience. The tour begins on Duke Street in old Cockburn Town and follows the beachfront Queen Street and Front Street past historical colonial buildings including the library, Her Majesty's Prison, and St Mary's Anglican Church. Brief stops take place at local craft markets and Pillory Beach. The route back follows the historical salt salinas of Town Pond and Red Salina. The guide offers narration throughout the tour through radio headsets and at the stops on the trip. 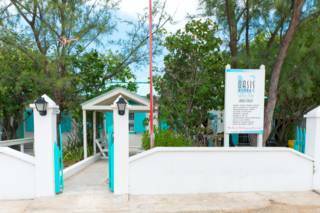 Excursion duration is about two hours and includes transport to and from the Grand Turk Cruise Center, if you're arriving by cruise ship. 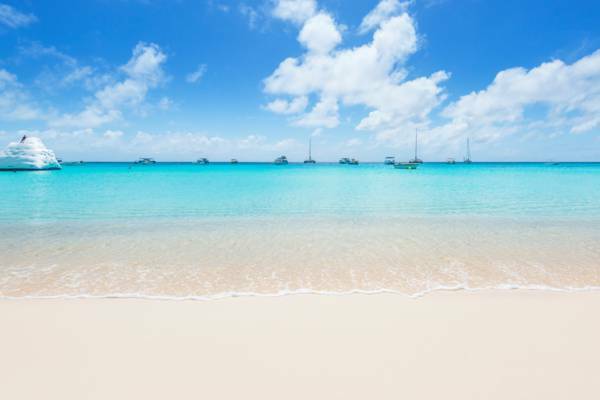 Several beautiful beaches on Grand Turk are Segway tour stops. Segway tours can be arranged through a cruise line shore excursion package, or booked directly with the local tour business. Generally, booking directly with the local business with get the best rates, yet keep in mind that cruise lines often purchase bulk tour vacancies, so availability may be limited. We advise reserving well in advance of your visit. Segways will generally be put into 'beginner' or 'Turtle' mode, with a maximum speed of 4.5 MPH (their unlimited top speed is 12.5 MPH). Your guide will give you instructions, but if you've practiced balance sports, such as skateboarding, you'll probably pick it up quickly. Generally, the key point is to try to stay as balanced as possible, and avoid any sort of agressive leaning (either sideways or forwards). Only slight movements are needed to control a Segway. A common error is to lean to the side too heavily, which causes the Segway to spin in a loop. Riders then over compensate by leaning in the other direction, which usually ends with the rider falling off. Our guided Segway tour explores the small streets, colonial buildings and salinas of Cockburn Town. Last reviewed by an editor on 12 March 2017.